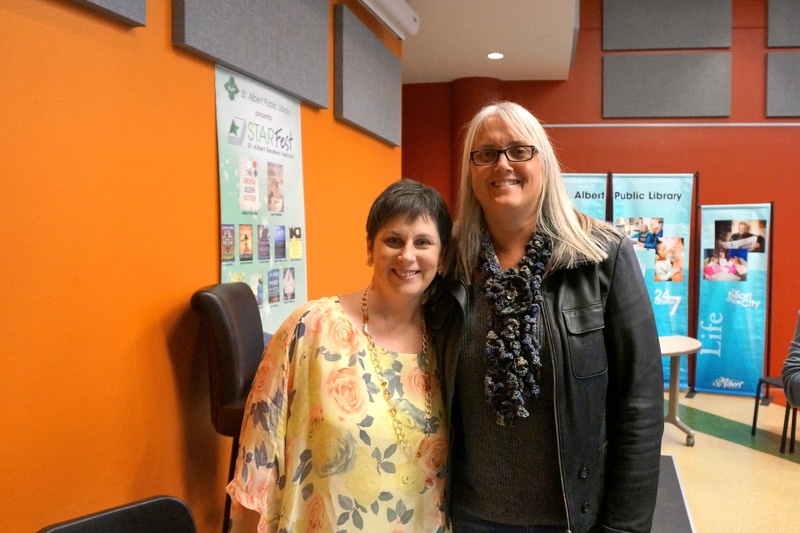 Look Who Came to Dinner…Susanna Kearsley! The recent RITA (Romance Writers of America) award winner for Paranormal Romance Winner, Congratulations Susanna for such a wonderful and amazing achievement! 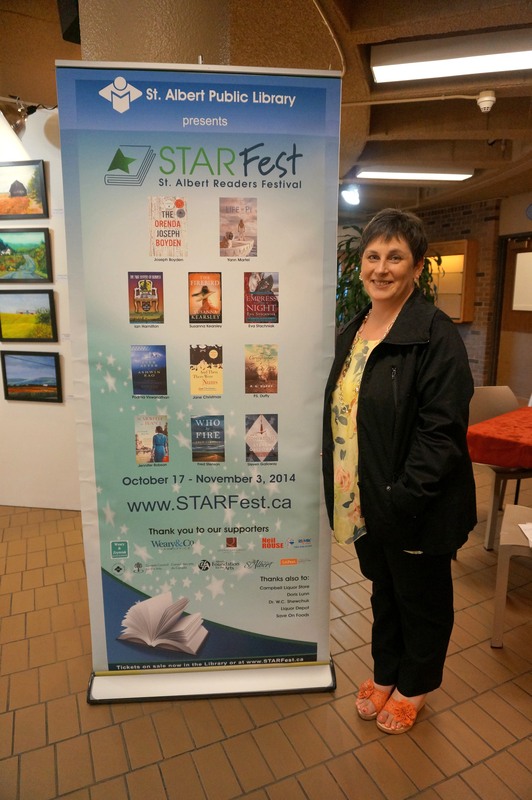 Susanna was recently in St. Albert, Alberta, Canada for the Star Fest. 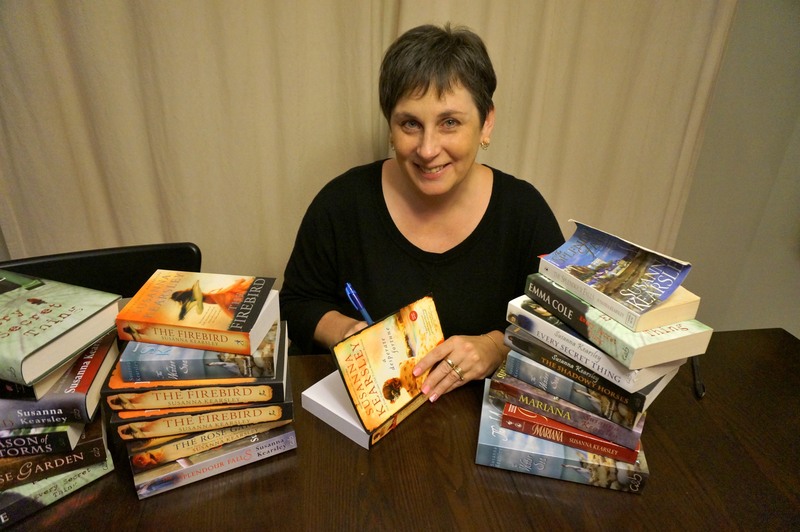 I had the pleasure of going to the wonderful event where Susanna Kearsley, http://www.susannakearsley.com, talked about writing and her book the Firebird. If you haven’t read the Firebird or her other books they are must reads. Susanna carries you through her books with such wonderful visual written words. Her descriptions let you travel with the characters from the present to the past to amazing destinations and eras of history. You easily loose your self in her writing and feel as if you are there watching the book unravel the trail to the conclusion of the great adventure. Eva Stanchniak, http://www.evastachniak.com, was also talking about her latest books Empress of the Night and The Winter Palace. It was a wonderful time listening to two well written Authors and their different styles of writing, techniques, research and process they make during the journey from the start to the finished book. Both Authors were intrigued by Catherine the Great in their latest books. It amazing me how each person with a creative necessity has their own way of going through the process of an idea to a finished product. I say necessity for a reason, creative people NEED to create. It is who they are, you can’t stop them. Their minds are always working on the next thing at the same time working on the current task. It’s what makes listening to other creative people in various disciplines so interesting, you learn that the creative path is different for everyone. 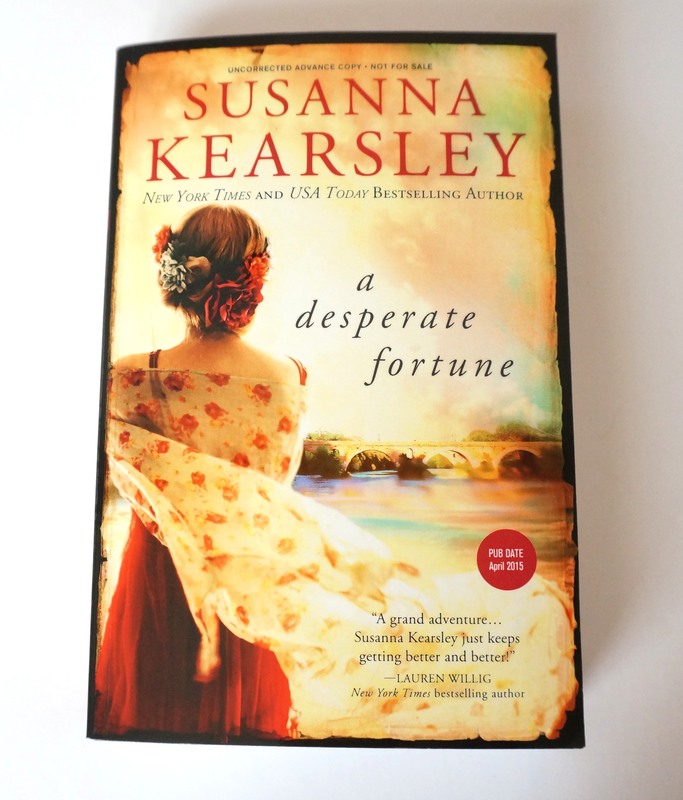 Her newest book “a Desperate Fortune”! How exciting to read before it is in the stores. Thanks Susanna for this most wonderful gift. I will blog about her latest book soon. If you haven’t guessed it was Susanna Kearsley who came to dinner. I miss the days we lived in the same neighborhood when we could chat any time. It has been 7 years since I have seen Susanna and I was thrilled to spend the rest of the evening with her. Of course I had a bit of work for her to do before I fed her, I thought it only fair that she work for her dinner. 🙂 There were a few books for her to sign I had been collecting since I moved away from the old neighborhood. It kept her busy for a while, but don’t worry I fed her afterwards so it was a pretty good deal, at least for me. We had a great time catching up and just enjoying spending time together like old friends. 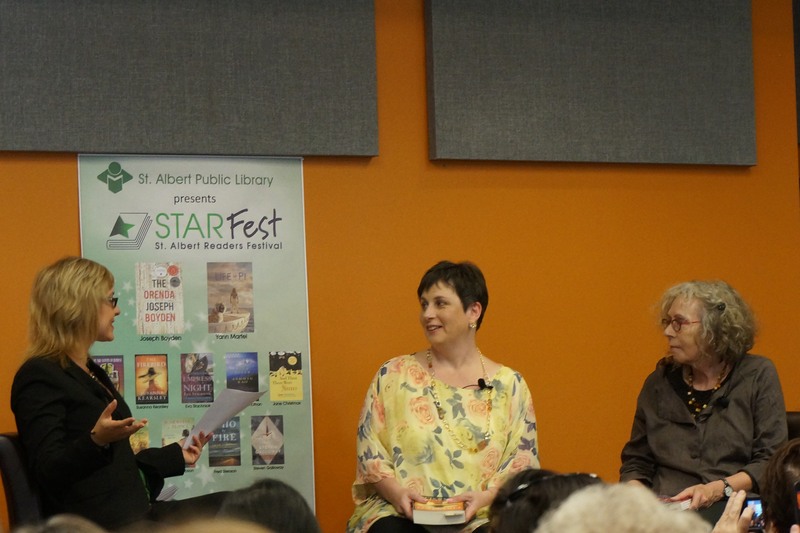 Thanks Susanna for coming by and thanks to the St. Albert Library for inviting one of my dearest friends to the Star Fest. If you have a chance to listen to Susanna Kearsley in your neighborhood do go, you won’t regret it. 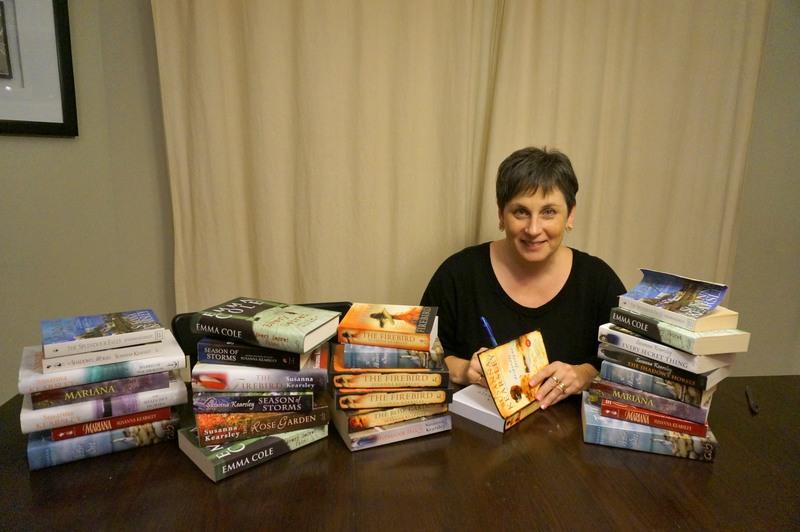 Susanna Kearsley and a “small” collection of books to sign in my personal collection. Notice the book she is signing in this picture. A Desperate Fortune, her latest book. Can’t wait to read this book, she tells me there are some great surprises. What a true pleasure it was to listen to both of these wonderful Canadian Authors who have this wonderful love for history. I know reading Susanna’s various books have helped inspire my desire to work on my Architectural Collection. I will be working on a new collection based on her latest book in the future that will fit in with my Architectural Collection. Thanks Susanna for such a wonderful visit. Can’t wait to see you soon.